One of the challenges in filling Easter baskets is to do so without loading it with enough candy to make a dentist rich. 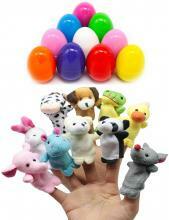 These fun Easter Eggs Filled With Animal Finger Puppets are a perfect solution. Decorating Easter eggs is a huge tradition, but ending up with all those hard boiled eggs is kind of a drag. 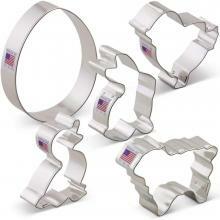 Try something different and make use of this cute Easter Animal Cookie Cutter Set and decorate cookies instead. Not all eggs produce chickens, so you may not always be sure of what the Easter Bunny is going to bring you. It could be a dinosaur. 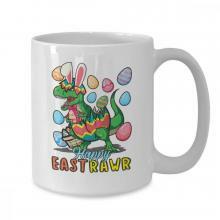 This totally funny Happy Eastrawr T-Rex Mug gives you an idea of what could happen. Everyone knows that one of the best places to keep goldfish is in a goldfish bowl. 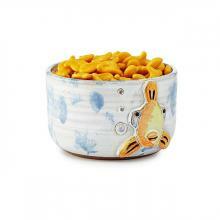 That even includes this fun Goldfish Bowl to use for snacks and food. 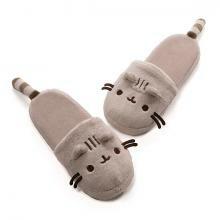 Waking up and trying to get going in the morning can make you feel old, if not positively prehistoric. 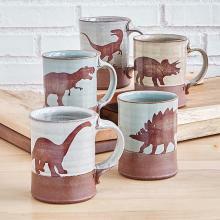 As you take in your morning infusion of caffeine you can feel just a bit younger if you are drinking from one of these totally cool Dinosaur Mugs.